“The content was very detailed and informative. FCRA partners with PharmaSchool to offer our network the best on-line training possible. PharmaSchool is one of the most well-respected clinical research training organizations in the world. Established in 2005 by industry experts their philosophy is to provide excellent training which meets customers’ needs. PharmaSchool Flexible Online Learning provides a wide range of modules and packages that are suitable for people currently working in clinical research or those who are seeking to enter the industry. 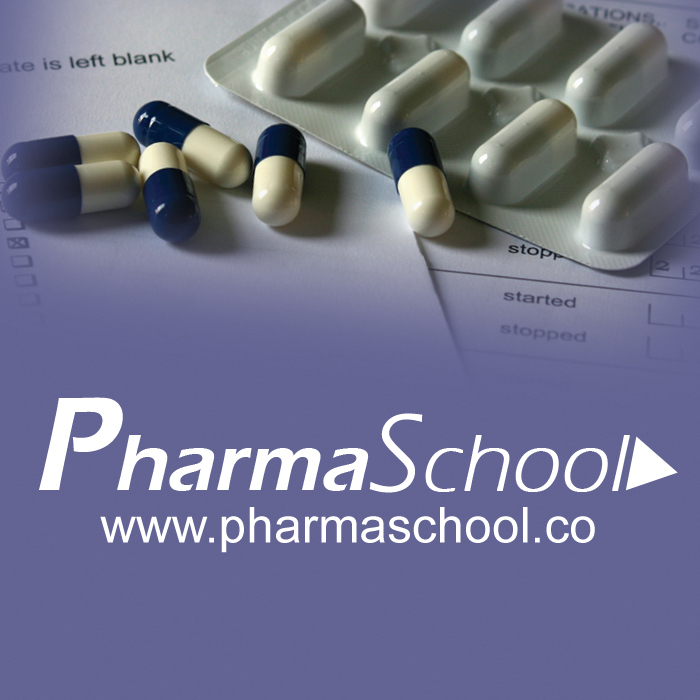 PharmaSchool has thousands of users from over 70 countries worldwide. As a CRA contracted via FCRA Network, these modules are offered to you free of charge to keep up to date with your professional development goals and GCP compliance. As a Senior CRA registered with FCRA Network, these packages come at a preferential rate. There are a wide range of guidelines and regulations in clinical research. This module introduces the background and history to clinical research guidelines and regulations and explains the difference between a guidelines and a regulation. The module progresses by looking in detail at the relevant guidelines and regulations and provides an essential foundation for anyone involved or wanting to be involved in clinical research. The content is the same as the ICH GCP Certificate with the addition of US and EU Guidelines. The course is also essential for anyone working in clinical research and clinical trials who is not familiar with the guidelines and regulations they should be following. This course is designed for anyone wishing to pursue a career in clinical research (including the roles of CRA, CTA, study nurse) whether in a pharmaceutical company, contract research organisation or in a health service/academic setting. The course provides certification of the completion of GCP and Essential Guidelines Training. There are numerous tasks that a monitor must be able to fulfil within their role, these range from selecting, initiating, routine monitoring and closing out sites through to managing investigators, building relationships and problem solving. There are a multitide of regulations and guidelines that a monitor needs to be aware of whilst fulfilling their role. This module blends theory together with practical hints and tips to provide an essential course for a new or potential CRA/Monitor. The module is designed for anyone who is new to the role of a monitor or is seeking a position as a CRA/Monitor in either the commercial or non-commercial setting. The module provides the essential foundation to monitoring and contains a practical monitoring exercise to put what you have learned from the module into practice. Who can be a Monitor? This module covers the essential requirements and skills for monitoring clinical research in medicinal products. It does not cover the drug development process, the clinical trial process or the regulatory requirements except for those specifically related to monitoring. It is recommended that if you are not familiar with these areas that you take these modules. There are numerous related components that make up a clinical trial design. These range from the data to capture, the number of patients, randomisation and blinding through to matters such as whether the trial is looking to show equivalence or a difference between treatment groups. This online module goes through the various components and details the various aspects and considerations of each one. The module explains among other matters the difference between parallel group and cross over trials, single, double and triple blinding, sample size considerations, and difference vs non-inferiority. The module is designed for people currently working in clinical research in roles such as CTA, CRA, Regulatory Affairs, Investigators and Nurses, Project Managers, Data Managers and Medical Communication/Information positions. It is useful to have an overview of the clinical trial process but this is not essential. This knowledge can be obtained by taking the module entitled Introduction to Clinical Research. Getting a new pharmaceutical product to market involves a large amount of investment and a great deal of time. The module introduces the pharmaceutical industry and provides an informative overview of the stages of developing a new pharmaceutical product. The module then looks at the stages involved in the clinical testing of the new product by explaining the different types of clinical trials, the different phases of trials and the personnel involved in clinical research. The module is designed for people who are new to clinical research, for administrators working in the area who would like to learn more about the environment in which they work. and for those who are considering a move into clinical research (for example wanting to become a CRA, CTA, data manager) whether it be in a pharmaceutical company, contract research organisation or in a health service/academic setting. There are a wide range of guidelines and regulations in clinical research. This module is designed for those individuals who require a documented knowledge of ICH GCP. The Course Manual guides you through ICH GCP in preparation for the examination. Successful completion (pass mark is 60%) of the exam will earn you an ICH GCP Certification. The manual and the examination are all included within the one price. The course and certification is for anyone who needs ICH GCP Certification for their job role or prospective career. The content is the same as the GCP and Essential Guidelines Module with the exception of US and EU Guidelines not being included in this. The ICH GCP Certificate is popular throughout the World and is a recognised method of achieving the certification required to work in a GCP environment. There are a wide range of guidelines and regulations in clinical research. GCP certification needs to be updated every year or two years depending on the region in which you work. This module is for those who have already taken ES2: GCP & Essential Guidelines but wish to update their certification. The module contains the Course Manual for the GCP Course to allow you to revise GCP together with an examination. The examination is different to that of the GCP & Essential Guidelines Course. This module is designed for those who have previously completed the GCP & Essential Guidelines (or ICH GCP Certificate) Course and require an updated certificate in GCP. The course provides certification of the completion of GCP and Essential Guidelines Training. This CRA Development and Education Certificate (CRADEC) is a Globally Recognised Certificated Course developed to provide a complete, cost-effective training package for those new to the CRA role or looking to move into this role in the near future. The Course has been developed from the hugely successful PharmaSchool Ultimate CRA Development Programme which has been used for several years by a large number of individual and corporate users. A certificate is awarded for the successful completion of the Course. The examination is taken online and comprises of 50 multiple choice questions. The certificate contains a unique Certificate Validation Code that allows you to provide this to prospective or current employers to validate your completion of the Course. Getting a new pharmaceutical product to market involves a large amount of investment and a great deal of time. The section introduces the pharmaceutical industry and provides an informative overview of the stages of developing a new pharmaceutical product. The section continues to then look at the stages involved in the clinical testing of the new product by explaining the different types of clinical trials, the different phases of trials and the personnel involved in clinical research. There are a wide range of guidelines and regulations in clinical research. This section introduces the background and history to clinical research guidelines and regulations and explains the difference between a guidelines and a regulation. The section progresses by looking in detail at the relevant guidelines and regulations and provides an essential foundation for the CRA. There are numerous related components that make up a clinical trial design. These range from the data to capture, the number of patients, randomisation and blinding through to matters such as whether the trial is looking to show equivalence or a difference between treatment groups. The section explains among other matters the difference between parallel group and cross over trials, single, double and triple blinding, sample size considerations, and difference vs non-inferiority. There are numerous tasks that a monitor must be able to fulfil within their role, these range from selecting, initiating, routine monitoring and closing out sites through to managing investigators, building relationships and problem solving. There are a multitide of regulations and guidelines that a monitor needs to be aware of whilst fulfilling their role and this section works through all of these. There is a saying in clinical research that “if it’s not documented it didn’t happen”. This means that documentation is critical to the trial and setting up and maintaining good files is a key part of running and clinical trial. This section covers all the documents required for regulatory purposes along with practical information. The Course is based around a pdf course manual/book which extends to over 140 pages. Unlike many courses this is not a set of powerpoint slides, instead this is a comprehensive book which also includes reference to the PharmaSchool Learning Management Centre which hosts the online aspects of the Course. Adverse Event collection and reporting is a critical aspect of conducting clinical trials in accordance with GCP. This module provides information and guidance on collection, review andreporting requirements in accordance with ICH, EMA and FDA legislation andguidance. The module covers reporting for clinical trials, annual safety updates during drug development and alsopost-marketing pharmacovigilance requirements. The course is designed for anyone who has responsibilities foradverse event identification, collection, review or reporting. This includes medical advisors, investigators, pharmacovigilance staff, project managers, CRAs, data managers and medical writers. An understanding of the drug development and clinical trials processes would be very helpful. The PharmaSchool modules “Introduction to Clinical Research” and/or “GCP and Essential Guidelines” would provide this knowledge. This ICH E6 GCP Investigator Site Training meets the Minimum Criteria for ICH GCP Investigator Site Personnel Training identified by TransCelerate BioPharma as necessary to enable mutual recognition of GCP training among trial sponsors. The investigational site has a key role to play in clinical research. This module introduces the clinical trials process and covers the key GCP requirements and responsibilities for investigators and investigational site staff. The module also covers other relevant guidelines and regulations and provides an essential foundation for anyone involved or wanting to be involved in clinical research. The course is essential for investigators and investigational site staff working in clinical research and clinical trials, particularly those who are not familiar with the guidelines and regulations they should be following. The course provides certification of the completion of GCP for Investigators and Investigational Site Staff Training. No prior knowledge is necessary, this module covers the key aspects investigators and investigational site staff need to be aware of.